It’s once more time to bless your timeline with a Retro Car Bot, a bot that tweets out retro cars and information about them. That’s it. It’s so great. I first noticed this kindly addition to the Good Internet (the one that is not constantly arguing about who has the worst takes in New York City media) when obscure-car-knower Chris Haining tweeted out that he’d found a car he’d never heard of before, which is saying something. Let’s look a bit more at that Autech A10, a kind of in-house custom retro homage to 1960s Alfa Romeos. 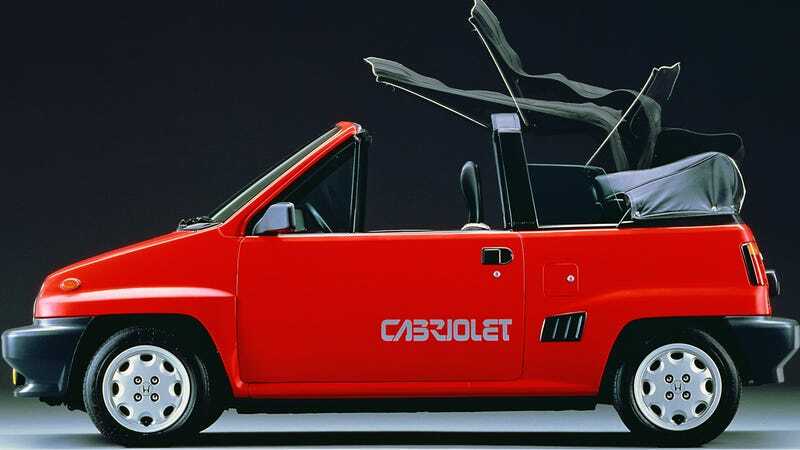 Sources will argue about what car it’s based on but as best as I have found it was a custom-bodied Nissan Rasheen, a kind of post-Pike crossover production car that had a different East German retro style. This chassis code shown here seems to back that up. Thanks Retro Car Bot. I mean, I don’t really need to thank you. You can’t hear me. You’re a bot. This is what you do. But I appreciate it anyway.